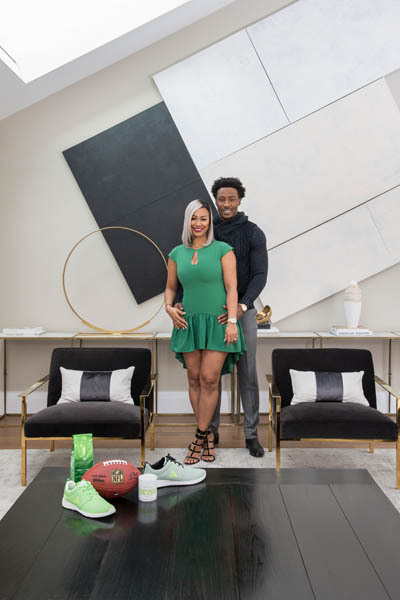 When superstar football player Brandon Marshall flashes his bright smile, it looks more like that of a model than like the hard-core competitor he is. The portrait of a beaten up athlete, whether a football player, hockey player or even an overzealous weekend warrior, with a black eye and missing teeth may be a cliché guts and glory image, but is in reality a thing of the past. Today’s modern dental techniques offer quick, easy and seamless ways to address most common dental injuries and keep your smile at all-star levels. After any dental injury it is imperative to get to a professional right away in order to prevent further damage, assess the situation and discuss appropriate treatment options. During regular Central Park South Dental office hours, immediate attention will be given to your situation and you will be seen as soon as possible. Remember — if you are experiencing a serious or life threatening emergency, always call 911 or visit the nearest emergency room. Our primary goal at CPS Dental is to save your natural teeth whenever possible. Your visit will always begin with a comprehensive evaluation and treatment plan. Oftentimes neighboring teeth suffer an unnoticed injury that can only be detected by a thorough dental exam and x-rays. The injured tooth may also have further damage to the nerves below. One of our practice specialties is endodontics, commonly referred to as root canal therapy, which can salvage a weak tooth. A chipped tooth can be easily addressed with a veneer. Veneers are thin pieces of porcelain used to recreate the natural look of your teeth and are the quickest long term solution. There are various choices of materials and techniques suited to each individual’s situation. Veneers are always perfectly customizable to match the color and shape of your original tooth. In certain cases the damaged tooth is unsalvageable. Missing teeth, traditionally addressed with the use of bridges, can now be replaced with permanent dental implants which mimic the look, feel and function of your natural teeth. Through the use of Cone Beam scanning technology at CPS Dental we are able to get a full 3D view of the injured area, allowing for accurate planning and placement of the new dental implant. Implants can be successfully used to replace a single tooth or entire mouthful, and will be created to blend in invisibly with surrounding teeth. No matter the dental injury, having a relationship with a reliable dental practice is essential. Receiving care and treatment in a relaxed environment, especially during an emergency visit, will help take the stress out of a potentially distressful situation. Regular visits to your dentist and dental hygienist for check-ups and cleanings will not only ensure that teeth are as healthy and strong as can be, but will ensure that you have more immediate access to care by a familiar face – and of course, get you right back out on the field as soon as possible. PreviousPrevious post:CASUAL DRINKING & DINING SPOTS IN LANextNext post:TAYLOR HANDLEY COPS HIS ROLE IN A.P.B.